Meyers, Deborah. "Lola Elizabeth Harris MacLaughlin". The Canadian Encyclopedia, 04 March 2015, Historica Canada. https://www.thecanadianencyclopedia.ca/en/article/lola-elizabeth-harris-maclaughlin. Accessed 24 April 2019. MacLaughlin grew up in Osoyoos, BC. She studied fine arts at the University of British Columbia from 1970-72 and then languages at Berliner Freier Universitat in Berlin, Germany in 1974. From 1975-77 she again attended the University of BC, studying languages and sciences. Lola Elizabeth Harris MacLaughlin, choreographer, dancer (b at Oliver, BC 1 Mar 1952, d at Vancouver 6 March 2009). Founder and artistic director of Lola Dance, a Vancouver-based company that supports the production and distribution of her work, Lola MacLaughlin made dances that were meticulously constructed, balancing compelling stage images with closely detailed movement phrases. MacLaughlin grew up in Osoyoos, BC. She studied fine arts at the University of British Columbia from 1970-72 and then languages at Berliner Freier Universitat in Berlin, Germany in 1974. 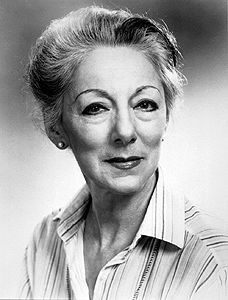 From 1975-77 she again attended the University of BC, studying languages and sciences. In 1981 she received a BA in MODERN DANCE from Simon Fraser University, and in 2004 she received a Masters in counseling psychology from the University of BC. Her studies in Germany and her exposure to German dance theatre, especially the work of Pina Bausch, were seminal to her development as an artist; the punk movement of the early 1980s was another important influence. 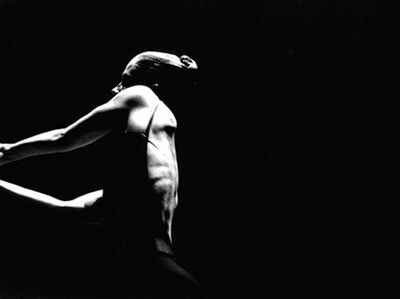 Lola MacLaughlin made her choreographic debut with Brain Drain (1980), a work for 6 punk-style &QUOT;pogo&QUOT; dancers presented in a downtown Vancouver warehouse. Early collaborations with dance and music artists like Jennifer MASCALL and Ahmed Hassan led to the creation of EDAM, a Vancouver performance collective that MacLaughlin co-founded with 6 colleagues in 1982. By 1989 MacLaughlin was working as an independent choreographer/dancer. 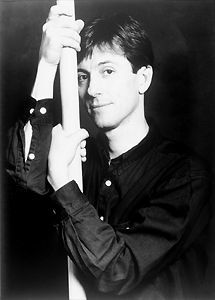 A signature piece from this period was Theme for Nino (1989), a solo that revealed MacLaughlin's distinctive approach to dance making. Her first large-scale work came in 1990 with a commission from the Judith Marcuse Dance Company for Cadence, another important transitional piece. With works from the mid-1990s, like The Protecting Veil (1995), Essie, Ena & Maude (1995), Thin Cities (1996) and Lapdogs and Other Restrictions (1997), MacLaughlin found her true choreographic voice, with its distinctly female precision and edgy, delicate bite. She was a creator who boldly mined her own dances. Thus Thin Cities gave rise in 1998 to Four Solos, which made possible Four Solos/Four Cities, which premiered at the Roundhouse in Vancouver in 1999. Critically acclaimed across Canada, Four Solos/Four Cities was as much about MacLaughlin herself as it was about Berlin, Vienna, Venice and Brussels; it also provided a platform for compelling performances by dancers Jennifer Murray, Hope Terry, Andrea Gunnlaugson and Susan Elliott. In 2001 MacLaughlin's fuse premiered at the Vancouver East Cultural Centre. An ensemble work for 5 dancers, fuse played with movement as encoded gesture and affirmed that dance does not need to tell a story to be packed with meaning. Lola MacLaughlin's awards and prizes include the Banff Centre's Clifford E. Lee Choreographic Award in 1992, the Canada Council for the Arts' Jacqueline Lemieux Prize in 1994, the 2001 Candance Creation Fund commission that resulted in Volio (2002) and the 2008 Isadora Award for Provincial Essays, which premiered in 2007.